27-year-old Paul Connaughton Jnr has been nominated as one of Fine Gael's four candidates in Galway East. 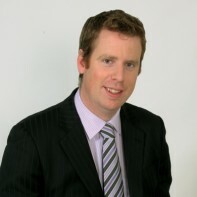 In the 2009 local elections, Connaughton Jnr was elected on the first count as one of Ballinasloe's five representatives on Galway County Council. Connaughton's father, Paul Connaughton Snr, served as the constituency's TD for thirty years from 1981 to 2011.